Kids eat free at the Covent Garden restaurant on Sundays. The ‘special of the day’ is the ultimate Sunday Roast, just like ‘mummy’ would make. Roasted rib, sirloin or rump is served with a giant Yorkshire pud, roast tatties, parsnips, carrots, green beans, lashings of gravy & horseradish cream. Not to be missed, just try & leave space for our homemade apple, pear & blackberry crumble. Go online to their website and down load the voucher here. Tate Modern : Kids can eat for free* in the café when an accompanying adult buys a main course from the menu. *Valid at lunchtime only for children aged 12 or under, for one child eating with an accompanying adult in either the café or the restaurant on level 6. Subject to availability. British Museum : At the Gallery Cafe kids eat free. Locations at Covent Garden : Centraal, Bromley, Camden and Kingsway. The best ever moules & frites in town, with great chicken, fish, pasta and ‘real’ sausages for the non-mussel lovers. At weekends kids eat free with one main course per adults. Your genuine American restaurant, that was even a hit back in the ’70’s (someone told me, not that I ever visited with my Dad, and adored the coke-floats!). Big on ribs, steak and burgers, and pasta, with a decent kids menu with cheese burgers, rack in’ ribs, and super cool cocktails and ice cream floats, like the Spiders, Potters Potion, The Pirate and Chocolate Monkey. Venues in The Strand, and Canary Wharf. Note, Kids eat free on Saturday only. 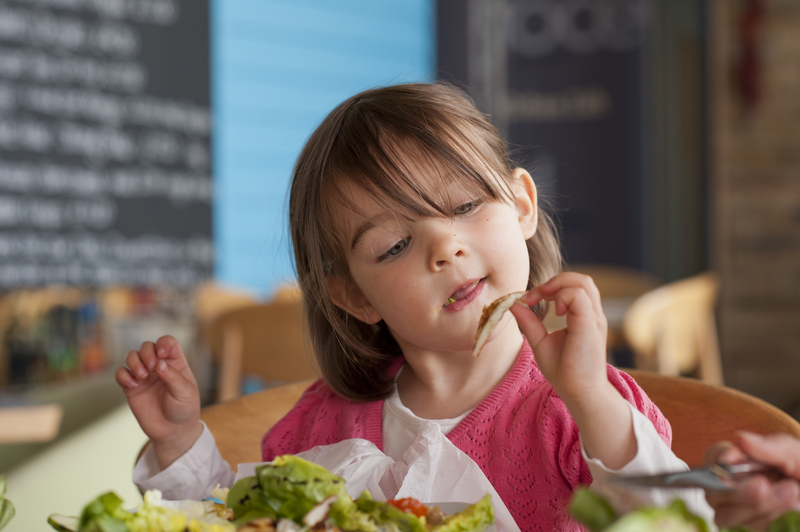 Kids eat for free between 12-3pm for every full priced adult meal purchased. Venues in Soho, Clapham, Fulham and Tower Hill. If you are keen to be ahead of the hungry then keep an eye out for the offers, promotions and discounts available at various websites, shopping centres, and many of them that run via Facebook and twitter . Be sure to check this lot of family friendly places ; Westfield Mall kids club members get lots of food offers within the restaurants as well as; Pizza Express, Dim T (Noodles & Dim Sum), Belgo (Belgian moles & Frites), Wagamama (noodles, stir fry & ramen), Rainforest Cafe (American), Giraffe (International), Yo Sushi (Sushi), The Butlers Wharf Chop House kids eat free during various school holidays (booking required), and our family favourite Chipotle (Mexican). Also if you are looking for a smart place in town, that are child friendly, then search here at Square Meal or use site Toptable for general offers on your overall bill. You can also read more about the Out to Lunch campaign set up by the Sustainable Restaurant Association here.